It was actor and filmmaker Sam Wanamaker's dream to recreate William Shakespeare's original Globe Theatre on the south bank of the Thames. The realization of that dream stands in almost the same location as the original Globe, which burned down in 1613. The modern Globe serves as a multi-purpose centre. First, it is a playhouse, offering regular performances of Shakespeare's works in the environment in which they would originally have been performed. Second, it serves as an education centre for exploring Shakespeare, his life, times, and works. 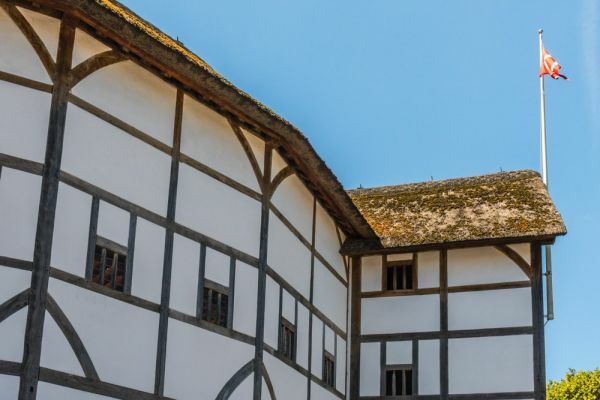 William Shakespeare did not 'build' the first Globe Theatre. 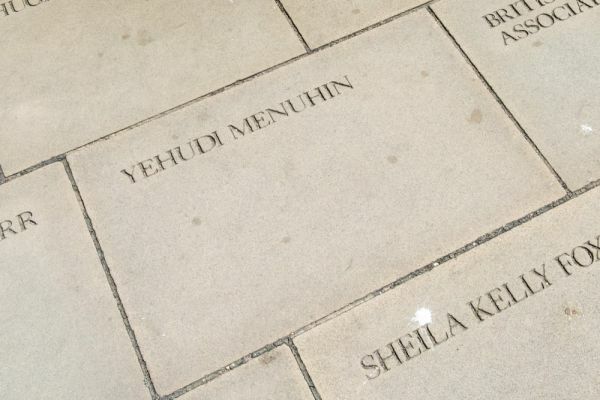 Rather, he was a shareholder in the venture that created a theatre in the Southwark area, outside the constraints of the rules and regulations governing the city of London across the Thames. Bankside had a reputation at that time as a rowdy place, full of thieves and prostitutes. 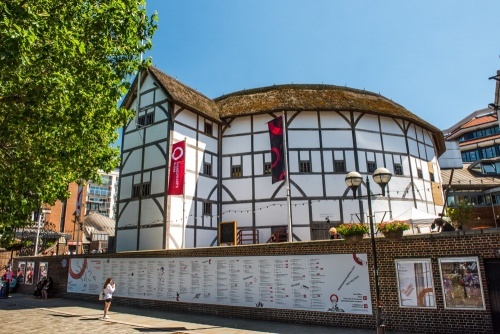 Shakespeare must have had an entrepreneurial bent, for in 1598 he put money into a project to build a new theatre in Bankside, Southwark, to rival the established Rose Theatre already in that area. He seems to have lived in the Southwark area for several years around that time, possibly to be near 'his' theatre. The Globe opened in 1599 and survived until 1613. During that time it saw the premieres of many of Shakespeare's most popular plays. In 1613, a performance of Shakespeare's 'Henry VIII' was staged at the Globe. During the performance, wadding from a cannon used during the play ignited the thatched roof. The entire theatre burned to the ground in less than 2 hours. The Globe was rebuilt, sensibly replacing thatch with a tiled roof. It is not clear whether Shakespeare was also a shareholder in the second Globe Theatre. In any event, the second Globe stayed in use until it was closed during a Puritan-inspired backlash against decadent entertainment in 1642. The site was razed in 1644 to make space for housing. 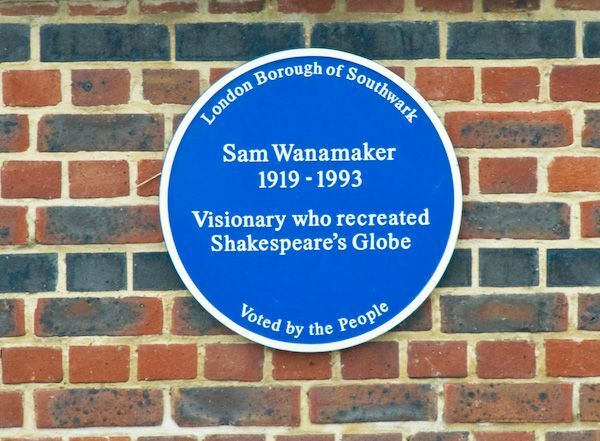 When Sam Wanamaker came to England in 1949 he looked for the site of the Globe. 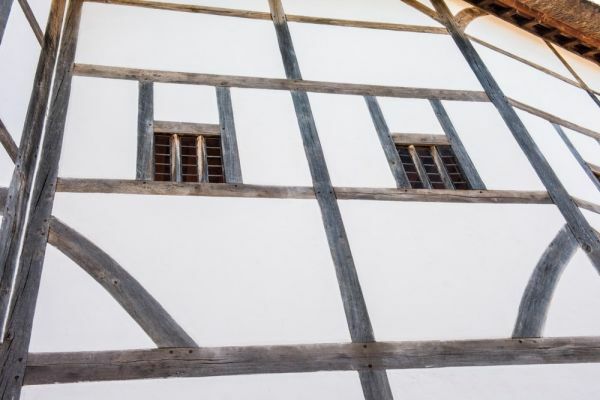 He was so disappointed that nothing had been done to preserve the site or commemorate the heritage of Shakespeare's theatre that he began a lifelong mission to rebuild the theatre in its original location. He founded the Shakespeare Globe Trust, and finally, in 1993, construction began. The reborn Globe was complete in 1997, recreating as faithfully as possible the architecture of the original Globe, with half-timbering supporting plaster-covered walls and an open-air circular courtyard with high galleries overlooking the stage. But Wanamaker's dream extended further than just creating a venue for theatrical performance. 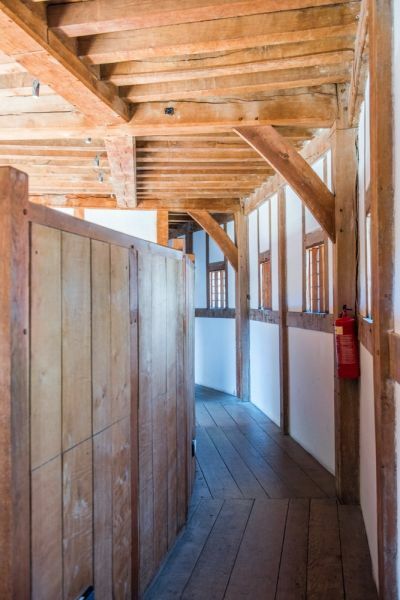 He wanted to create an educational centre; a place where young and old could learn about theatre, learn about the rich literary heritage bequeathed to us by Shakespeare, and experience for themselves how the bard's plays would have been like to see in their original setting. Visitors can certainly attend one of the regular performances at the Globe, including works by Shakespeare, but also modern theatrical works. You can take a guided tour of the Globe and hear about the history of the original Globe and the building of its modern namesake. 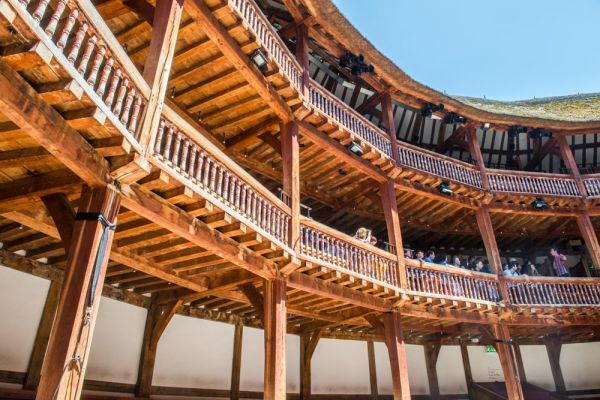 If a play is being performed the guided tour will instead take visitors to the nearby site of the Rose Theatre, the Globe's big rival, which has now been at least partly excavated. And finally, visitors can explore the Exhibition centre, where they will see theatrical costumes designed, made, and fitted, learn about the historic musical instruments used during performances, see how theatrical special effects are created, watch how Shakespeare's first plays were printed, and learn about the rebuilding of the Globe during the 1990s. 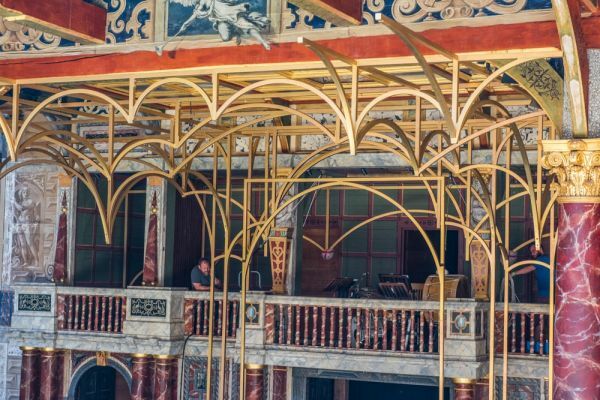 There's a lot to see and do at the Globe, even if you don't attend a performance. And when you've finished exploring the Globe, wander along the Thames Path in front of the theatre. 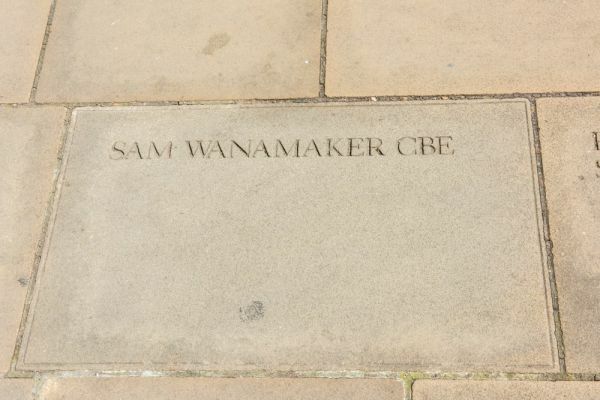 There, set into the stone wall surrounding his theatre, is a blue plaque with the name of Sam Wanamaker, the man who made possible the rebirth of Shakespeare's Globe. Wanamaker never saw the completion of the Globe; he died in 1993. It is the modern visitor who benefits from his perseverance in recreating this delightful piece of British heritage. Location: Access on foot from London Bridge station, a 10 minute stroll. Also foot access via the Millenium Bridge.